SINGAPORE—The collapse in China of a complex web of debt guarantees involving several private firms highlights risks in its financial system and opens up a potentially hazardous front for an economy in the grip of its slowest growth in nearly three decades. It is the last thing Beijing needs as it tries to fight off intensifying pressure on growth from a months-long trade dispute with the United States. Yet, as the government steps up economic support measures and moves to loosen gummed-up funding, it might be inadvertently inflaming financial risks with its call on state banks to sharply boost lending to the private sector. The warning bells are already sounding in the once-prosperous eastern city of Dongying, a hub for oil refining and heavy industry in Shandong Province. Here, at least 28 private companies are seeking to restructure their debts and avoid bankruptcy, mainly due to souring loans that they guaranteed for other firms, court rulings seen by Reuters show. Among the 28 firms are Shandong Dahai Group and Shandong Jinmao Textile Chemical Group, which were on the 2018 top 500 best-run private enterprises in China. 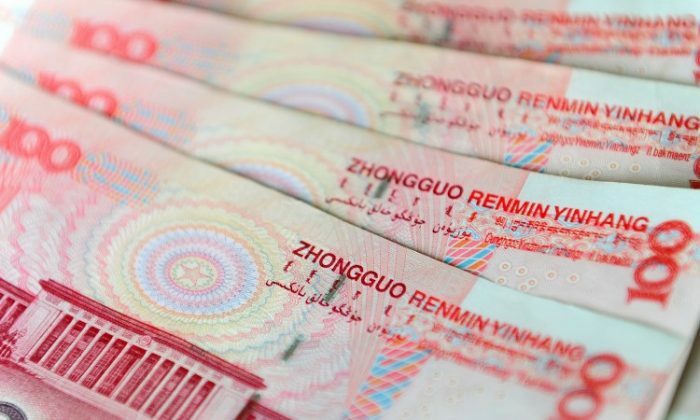 For a private firm to get bank loans in China, especially those in traditional, capital-intensive industries, it often needs substantial collateral or the guarantee of another company. The guarantor itself is very likely to have taken on loans guaranteed by other firms. The private sector mess in Dongying highlights the inherent dangers in cross-guaranteeing of debt, with defaults quickly cascading across the system when one loan goes bad, threatening to disrupt local financial systems and new lending. The concern is that Dongying is just the tip of the iceberg as cross-guaranteeing of loans is a common practice across China. Private firms’ funding options are somewhat constrained because banks are reluctant to lend to the non-state sector, said Yang Zaiping, secretary-general of Beijing-based Asian Financial Cooperation Association, which comprises financial institutions from about 30 countries. “There is a severe imbalance between private companies’ contribution to the Chinese economy and the financing that they get. They account for 50 percent of taxes, 60 percent of GDP, 80 percent of urban jobs and 90 percent of new hires, but only receive 25 percent of loans disbursed,” Yang, a former Chinese banking regulatory official, told Reuters. “If private companies don’t have other sources of funds to repay their debts, or collateral, they have to find guarantees, which will add 2 to 3 percentage points to their financing costs,” he said. As of end-June, Shandong Dahai had outstanding guarantees on 2.67 billion yuan ($394 million) of debt for 14 companies, according to a company filing in August. The total amount of guarantees was equivalent to 48 percent of its net assets. Six of the firms have run into financial or legal trouble and two have been blacklisted by courts as “dishonest debtors” for their lack of creditworthiness. Resource-rich Dongying, the site of China’s second-largest oilfield Shengli, used to be one of the country’s richest cities thanks to its vibrant private economy, boasting the highest income per capita in Shandong in 2017. But excessive lending to local companies during boom times saw firms diversify into non-profitable, non-core businesses. So when credit conditions later tightened as Beijing embarked on a years-long deleveraging campaign, a series of loan and bond defaults in the region followed. “Bad loans are often extended during good times,” said a Shandong-based official, who declined to be named. The consequences are now clear. Two Dongying banks—Guangrao Rural Commercial Bank and Dongying Bank—have been hit by a sudden surge in non-performing loans. Over 95 percent of Guangrao Rural’s bad loans were backed by guarantees, but the back-stop is mostly useless now because it was provided by firms that were heavily indebted and some had suspended production, according to a ratings report in May. In Dongying, the local government has come to the rescue of the private companies by pushing through debt restructuring to avoid bankruptcy, said the Shandong-based official. The Dongying government’s finance bureau did not respond to a request for comment. Officials at Shandong Dahai and Shandong Jinmao declined to comment. To Lend or Not to Lend? China’s top banking regulator Guo Shuqing, one of the most powerful men in the financial sector, wants banks to double their funding allocation to private companies in three years—to 50 percent from 25 percent. But faced with the rising default risks of private borrowers in cyclical sectors, and given their unsafe financing practices—from share-pledged loans to cross guarantees—banks are wary of lending to them. Several bankers told Reuters they are keen to avoid repeating excessive and riskier lending that followed Beijing’s 4 trillion yuan stimulus package a decade ago. 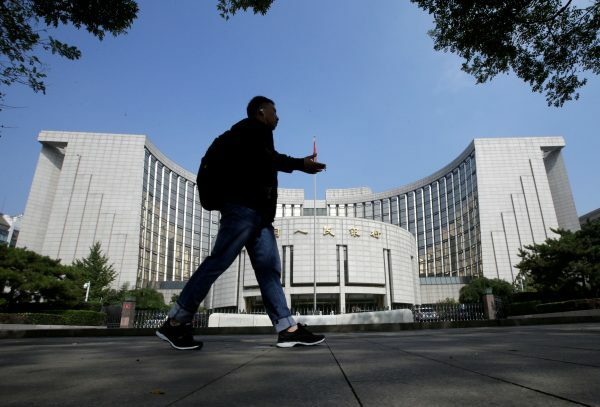 Even though China has cut banks’ reserve requirement ratios five times since January last year, banks would rather use this freed up liquidity to buy “bonds at any cost” than give out loans, said a bank executive at the financial markets department of a joint-stock bank. Private players are heavily concentrated in manufacturing and real estate whose bad loan ratios in these sectors have been much higher than the industry-average. Private companies were also the biggest defaulters last year, accounting for 126 of the total 165 bond defaults, according to Guotai Junan Securities. And, as the economy brakes in the face of domestic and external pressures, with growth slowing to a 28-year low in 2018, the fear is that the cross guarantee practice exposes China’s financial system to a bad loan crisis. “As growth slows and pressure increases on the economy, financial risks easily become contagious,” the Shandong official said. By some measures, China is making progress in its effort to deleverage and clean up bank balance sheets.